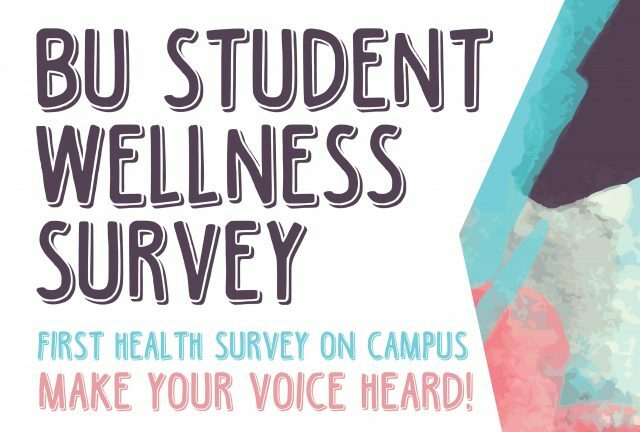 Brandon University students over the age of 18 have an opportunity to improve health and wellness programs and services on campus through a first-of-its kind survey early next week. In their student email inboxes, students will soon receive the National College Health Assessment (NCHA), sponsored and distributed by the American College Health Association (ACHA). The ACHA-NCHA is a survey designed to assess student health behaviours in order to provide better services and support for Brandon University students. You may benefit by knowing that you have assisted in providing accurate information regarding health/wellness behaviours on our campus. The information will be used in reports and publications to develop wellness programs and services for Brandon University students. The NCHA-Web is completed online via the Internet. We encourage you to complete the survey in one sitting, which typically takes about 20-30 minutes. All students who submit a survey will be automatically entered in a random drawing for one of three $100 gift certificates for the campus bookstore! There may be some personal discomfort with the content of certain questions. For example, there are questions regarding illegal substance use, interpersonal violence, and sexual behaviour. If you’d like to talk with someone about issues addressed in the survey, you may contact the Westman Mobile Crisis Unit at 204-725-4411 or one of the Counsellors at Brandon University Student Services who can refer you to other appropriate services. Student Services can be reached by calling 204-727-9737 or by emailing elliottj@brandonu.ca. Your participation is completely voluntary and confidential. To ensure confidentiality, e-mail addresses are destroyed by ACHA before data are compiled and shared with Brandon University. The raw data file that is shared with Brandon University will not contain any unique identifiers. If you feel that answering specific demographic questions might reveal your identity, you may leave them blank. You may answer only some questions, or you may choose not to participate in the survey at all. Any reports or publications based on this research will use only group data and will not identify you or any individual as being affiliated with this project. By taking this survey, you consent to participate in the study and agree that the purpose of this study has been satisfactorily explained to you. You understand you are free to discontinue participation at any time if you so choose and that the researcher will gladly answer any questions that may arise during the course of the research. Refusing or withdrawing from this study will be at no penalty or loss of benefits to you. By consenting, you have not waived any rights to legal recourse in the event of research-related harm. You may contact Katie Gross, Acting Dean of Student Services at kgross@brandonu.ca if you have questions or concerns about the survey. For ethics-related questions contact the Brandon University Research Ethics Committee (BUREC) at 204-727-9712 or burec@brandonu.ca. Data transmission is encrypted and firewall securities are in place. After you submit the survey to the secure server, a message thanking you for taking the NCHA-Web will be displayed in your browser window, and you will receive a confirmation email.